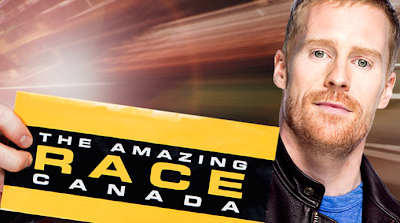 XOXO Jes - Canadian Entertainment News: Apply now for Amazing Race Canada season 2! Apply now for Amazing Race Canada season 2! All of the Amazing Race Canada hopefuls, get ready. The applications for season two of the show are now officially open. In the eligibility requirements it says that participants must be able to travel around the world and Canada and must have a valid passport. Now they haven't said yet that they are taking the Race international this year, but here is to hoping! Participants must apply as a team, be 19 years old or older as of April 1, 2014, be a Canadian citizen or permanent resident and be willing to be exploited on TV. For full rules click here. You need to submit photos, a 3 minute or shorter video and fill out the full application.